If you prefer Loose loads instead of Netted wood, that’s not a problem, we deliver throughout Cornwall, using our new Isuzu tipping lorry, the price includes tipping in one place. 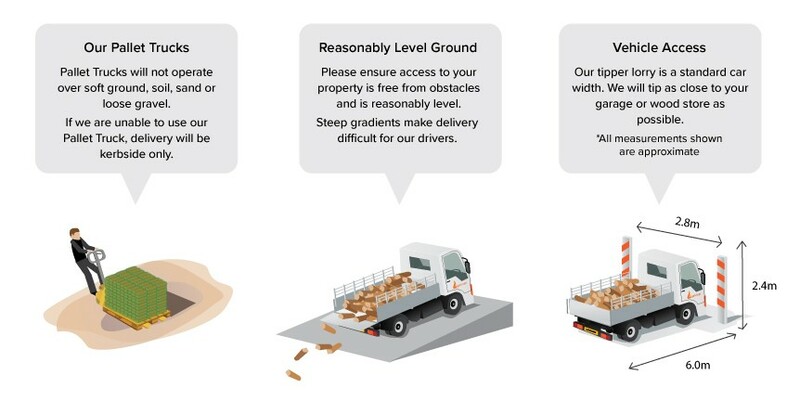 The area which you would like the load tipped must be accessible for our lorry, it’s quite narrow and fits down most country lanes and driveways. 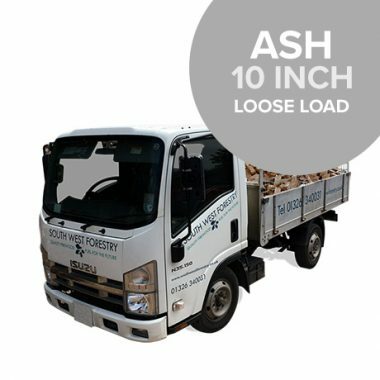 Our price does not include putting away, however, if you require this service please ask, we will be will happy to give you a quotation. 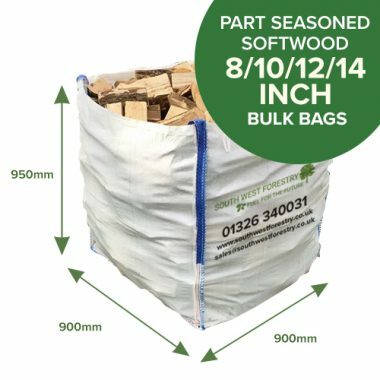 Hardwood burns for long periods of time, it’s a very dense wood, in fact, hardwood burns for twice as long as softwood and nearly twice as hot, making hardwood a good investment when buying firewood, although it is slightly more expensive to buy. Firewood in the UK has always been traditionally sold over the years by loose volume – when someone gives you a price for a 1 cubic meter, or a 2 cubic meter load, that volume of logs is measured using a metal crate measuring 1050mm x 1200mm and a height of 1000mm, the logs are tipped into this crate for measurement, then tipped loose into the lorry for delivery. 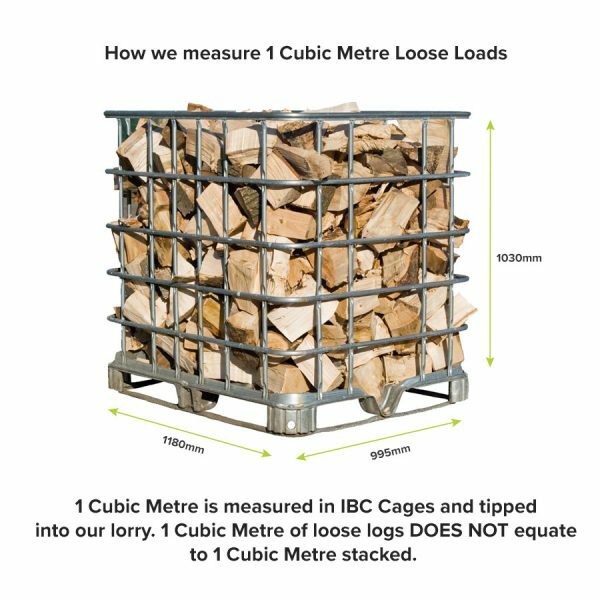 A meter of Stacked logs is a true meter of wood, a meter of loose logs is not a true 1 meter, however, loose loads are the normal way of selling in England, if you would like stacked 1 meter loads please look under our wood crate section, there you can buy 1 cubic meter crates and 2 cubic meter crates. 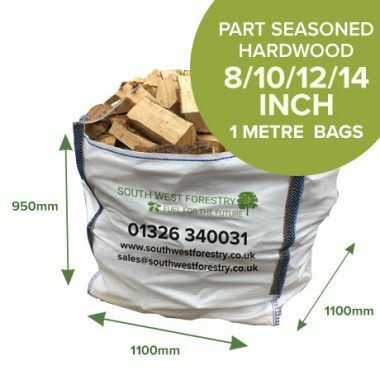 Great value for money, lots of logs for the money and they burn really well, great value.